Looking for some easy machine quilting tips? You're excited, you've just finished your very first quilt and you're very pleased with yourself. And rightly so! But then you're struck with the realization that the quilting process is ahead of you. You start to panic. You have no idea where to start? You couldn't bare the thought of making a mess of things at this stage. Not when you have invested so much of your time and effort into this project, not to mention money.That would never do. Sure you could take the easy option and get a professional quilter in but really you want to have a go yourself. You want this quilt to be your masterpiece from start to finish. And fair enough too, I totally understand how you feel. 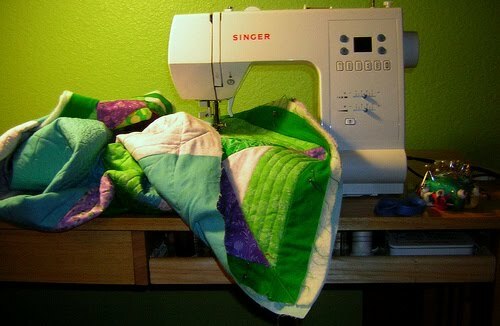 Here are my tips for easy machine quilting. 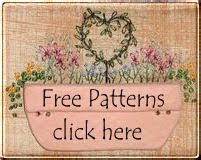 1 Ideally choose a backing fabric that is wide enough for the quilt top, consider the colour and pattern of the fabric. Choose it to match the colour of your quilting thread and if you are new to machine quilting decide on a patterned fabric that will be forgiving. 2 Press your backing fabric and quilt top. If you are using a cotton or wool batting it may need pressing as well to get out any fold lines. Trim any lose threads, these can shadow through if quilting over a lighter fabric. 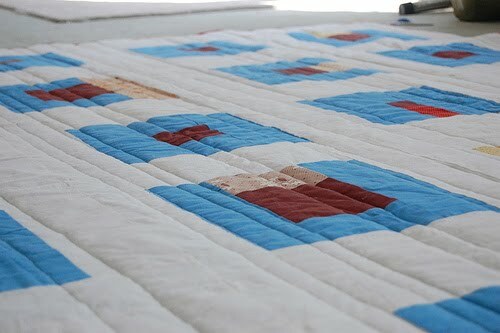 Depending on the size of your quilt, tape the backing fabric to the floor or table right side facing down. Place your batting over the top and then your quilt on top of this. Your backing and batting should be bigger than your quilt top. 4 In most cases easy machine quilting does not involve marking out a pattern on your quilt top, it can be done in sections using your quilt design as a guide. If you want to quilt a shape, you will need to transfer your pattern onto your quilt before attaching all the layers together. Do this with a water soluble marker or tailors chalk, lead pencil can be difficult to remove. 5 Once you have decided on a overall quilting plan, consider your thread choice. Use machine quilting thread which is slightly thicker than ordinary thread and choose a contrasting colour (for the more experienced quilter) or complimentary colour (for the beginner quilter). Use the same colour thread in your top and bottom bobbin. I hope these easy machine quilting tips have shed some light on the quilting process and that you now feel more confident to give it a go. Happy quilting. Thanks for the encouragement post! I just started and it's goign ok so far! I started with stitch in the ditch. Someone gave me a 'cheater cloth' (printed baby quilt) fabric and i used it for trying to freehand my machine quilting and it's had it's good areas and some not-sew-good, but we have to start some where and practice! If pinning, use a soup spoon to help lift the points to close. It doesn't lift the quilt layers and you can pin twice as fast without hurting your hands at all. I have a corner table now which supports the quilt, but otherwise use an ironing board because you can adjust it to suit your table height. Wish I'd found a guide like this when I started out. I've just finished my third quilt. Thanks so much for the advice. I have 2 quilt tops finished and sitting in the cupboard because I haven't known how to proceed to the next step. I guess there's no escaping the 'first one' is there? I linked to this helpful post on my blog. Thanks, Lenna! Well I'm going to be starting my first quilt, well a useful one anyways. I have wanted to know how to quilt other then tie and your post came in the nick of time. Thank you for taking the time to teach. Have my first quilt top done and getting ready to finish it. These are just the tips I needed for some confidence in finishing it up! Thanks! Great tips for machine quilting. 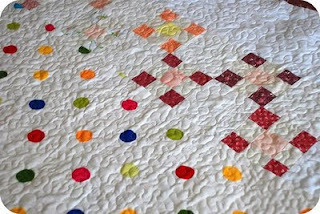 Wow, I sure love the photo of your quilt with the colorful dots on a white background. How are the dots applied? Heat set? Do you have a tutorial on this quilt? I started following your blog today.